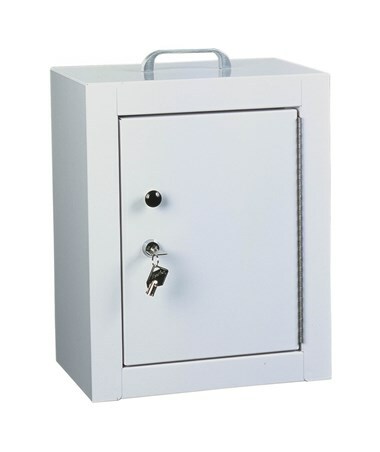 The Harloff Double Door Medium Narcotics Cabinet is a secure and durable storage device with an all-steel construction for superior strength and rigidity that will hold up to the most demanding circumstances. Awesome Design. 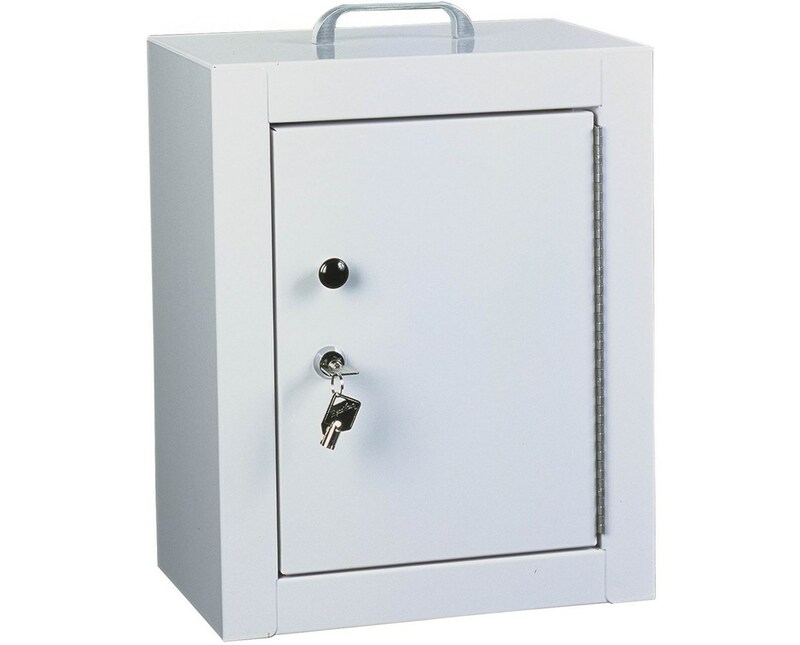 Featuring a double door steel construction, the Medium Narcotics Cabinet has full-length stainless steel door hinges with predrilled mounting holes and has a hard-baked powder coated finish. Each door has one high-security, pick-resistant tubular lock and comes with four keys per lock that include a black identifier. The locks are keyed separately to ensure optimal safety and security. The cabinet includes one adjustable, removable shelf with the choice of 4 locations. To order online, simply click add to cart! True double locking protection with two doors. Each door has one high-security pick-resistant tubular lock. Locks are keyed separately with four keys per lock included. One adjustable, removable shelf with the choice of 4 locations. A top-mounted carrying handle is provided for convenient transport. Full-length stainless steel pinned door hinges prevent pin removal. Predrilled holes for mounting on a wall, cabinet or other solid surfaces (wall mounting hardware included). 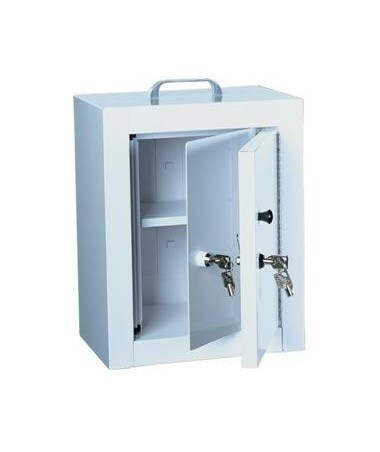 Narcotics cabinet is delivered ready to use (Handles and shelf must be customer installed). Tiger Medical offers a 30-day return policy from date of shipment, subject to a 50% restocking fee, in addition to the return shipping charges. The product must be in new condition and in its original packaging. We take the responsibility to make sure this product arrives in brand new working condition. Should your item arrive damaged, we will replace the product at no cost to you.